NEW YORK, Nov. 8, 2018 /PRNewswire/ -- Approved Energy is pleased to announce and welcome Chris Dillemuth as Executive Vice President of Business Development. Respected by competitors and peers alike, Chris carries a distinguished reputation within the New York energy market. 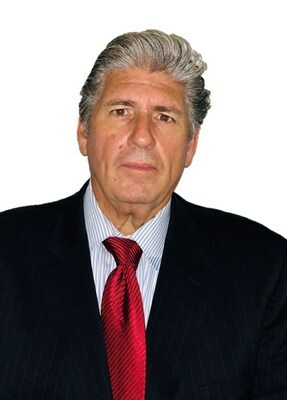 Prior to joining Approved Energy, his career originated in 1990 with the Hess Corporation where he began as an Account Representative focused on serving the oil requirements of the top owners, developers, and management companies within the NYC real estate industry. Pairing a skillset rooted in enhanced customer communications with unrivaled integrity, Chris quickly became the premier representative within the Hess Corporation by volume-held. In the late 1990s, as New York deregulated its utilities market, he embarked on an entrepreneurial journey tasked with growing Hess's new natural gas and electricity marketing division. Leveraging years of distinction in serving his clients, Chris amassed an unparalleled portfolio of energy holdings. This success helped establish both himself and the Hess Corporation as the authority in all downstream commodity markets. In 2013, Chris joined Direct Energy where he continued to collect industry accolades for his high performance. He was a four-time President's Club qualifier and three-time winner, marking the first time a Business Development Manager achieved such a prestigious feat during his four-year tenure at Direct Energy. "Approved Energy is thrilled to have the opportunity to bring Chris Dillemuth onboard; an individual who has earned the highest credibility within the industry for fostering long-term partnerships with the accounts he serves." Vincent Theurer, CEO of Approved Energy, continues, "We are proud to have Chris represent the brand in a leadership role and look forward to the impact he will have on the company's continued growth." Approved Energy is an Energy Service Company (ESCO) comprised of top-in-class energy professionals focused on providing competitive rates, servicing clients with customizable pricing solutions, market intelligence, and excellence in customer service. It is affiliated to the Approved Companies conglomerate of energy related companies including Approved Oil, Approved Wholesale, and Approved Plumbing & Fire Protection. Headquartered in Brooklyn, NY. Approved Oil Company has over 150 employees committed to providing each customer with exceptional service.